Since its arrival on the silver screen in Victor Halperin’s White Zombie (1932), the concept of the zombie has captivated and terrorized mainstream audiences across generations. However, before such low-budget celluloid imaginings, and the legions of undead staggering across the old Deep South plantation landscapes of Robert Kirkman’s The Walking Dead (2003-present), the zombie was already conjuring fear and repulsion. Originating from the mythology and rituals of voodoo practised in late seventeenth and early eighteenth century West Africa and subsequently the French slave-colony of Haiti, the zombie is much more than the brain-devouring bogeyman of early cinema representations but instead a cultural and social marker of the era in which its varied representations are produced. 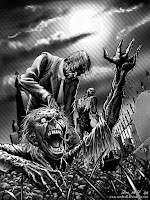 Revenant (www.revenantjournal.com) is now accepting abstracts for articles, creative writing pieces, and book, film, game, or event reviews for a themed issue on zombies, examining the social and cultural evolution of the zombie. Guest editors: Anthony Anderson, Simone Wood, and Colin Younger. Deadline for submissions: April 30, 2019. The zombie is an amalgamation of supernatural mysticism and the subconscious fears of the West, a symbol of oppressive colonial rule and a tool with which to dismantle such systems; the zombie is both revolutionary force and a supernatural creature that reflects the state of, and threatens, our social fabric. As evinced in the zombie’s progression, evolving from horror movie standard to a beacon for cultural and political interpretations, an undead revolution has taken place. The decomposing and crumbling reanimated corpses of George Romero’s seminal Night of the Living Dead (1968) have been usurped by Nazi zombies in Dead Snow (2009), the blood-crazed and seemingly uber-athletic infected of 28 Days Later (2002) and its sequel, and the swarming hordes of Max Brooks’ World War Z (2006). Traditional zombie movies are regularly remade to retell socio-political stories depending on the era and the social mood prevalent at the time; the zombie’s transgressional capacity has elevated it from stumbling shock horror trope to a crucible for cultural concerns. Thus, the public and academic interest in the zombie has steadily grown, creating a desire to analyse the cultural significance of the zombie and attempt to provide a definitive genre and mode for the zombie to belong to. The zombie has become analogous to a myriad of socio-cultural issues, with the investigation of the ‘zombie myths’ of Australia’s nationalistic military history providing yet another interpretation of the term (Stockings, 2010, p.2). Indeed, the post-global financial crash society has cultivated the terms ‘zombie economics’ and ‘zombie markets’ to describe social models built on ideologies that refuse to die, rising from the ashes of history to terrorize us once more (Quiggan, 2010, p.240). In addition, cultural geographers posit the ‘zombie cities’ of post-apocalyptic settings, in tandem with the zombification of the body, as evidence that the spatial and physical destruction of hegemonic norms is implicitly linked with the act of being zombified; landscapes, as well as humans, are susceptible to the ever-growing reach of the undead (May, 2010). Add to this the cornucopia of apps, fan-based talk shows, card games, and merchandise stemming from The Walking Dead’s worldwide success, and an entire zombie culture appears to have risen along with the dead. Zombies, so it would seem, are everywhere. For articles and creative pieces (such as poetry, short stories, flash fiction, videos, artwork and music) please send a 500-word abstract and a short biography by April 30th, 2019. If your abstract is accepted, the full article (maximum 7000 words, including Harvard referencing) and the full creative piece (maximum 5000 words) will be due November 29th, 2019. The aim is to publish in Spring 2020. 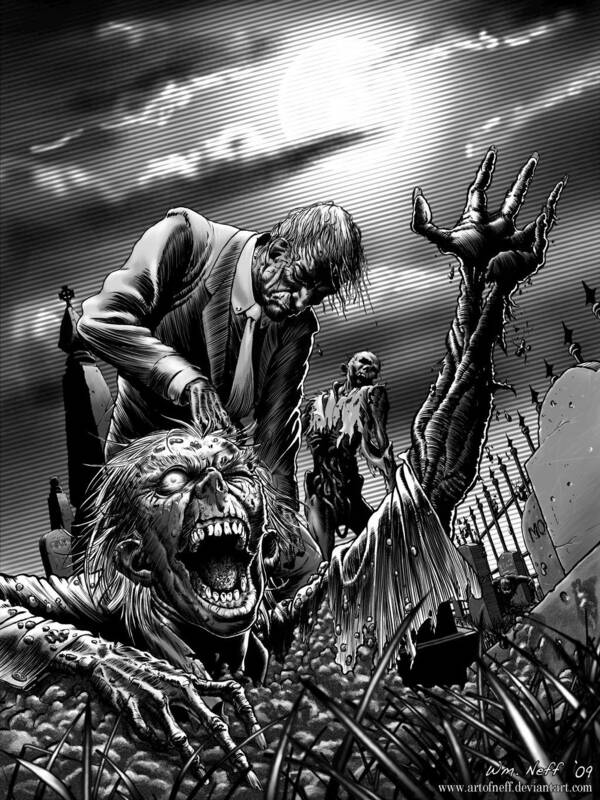 Reviews of books, films, games, events, and art related to the zombie will be considered (800-1,000 words in length). Please send full details of the title and medium you would like to review as soon as possible. Further information, including Submission Guidelines, are available at the journal website: www.revenantjournal.com. Inquiries are welcome and, along with all submissions, should be directed to atanderson316@gmail.com, simone.wood.411@gmail.com, and colin.younger@sunderland.ac.uk. If emailing the journal directly at revenant@falmouth.ac.uk please quote ‘zombies’ special issue’ in the subject box.